I now teach at a prestigious university within the largest and one of the best American public university systems, the State University of New York. But twenty-four years ago, when I first appeared the SLC, I failed. Now, I am not about to tell you a wonderful story. Sorry, there are more stories of suicide than of success in this regard. I am instead telling my story, for the first time beyond my family, in order to make a very broad point about the SLC exam and our society. The precise reason I failed the exam was that I went to a public school in ninth and tenth grades. I passed the exam after I went to a private school for a year and retook it. Again, before any advocates of private schools start licking their lips, let me make something very clear. 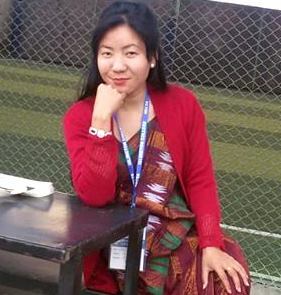 In the big picture of education system where I failed—even though it was in the Indian state of Manipur where there was a similar testing system as in Nepal—the private school that helped me pass the exam was NOT a solution of a problem. The emerging phenomenon of private schools was, or it was becoming as it also is in Nepal, a manifestation of an insidious social crisis. Let me explain. When I failed, it was the system that failed me and my peers in the public school. On the surface, the rate of failure in private schools shows that the SLC crisis would disappear if we had more private schools. Unfortunately, if you’re thinking about the big picture of “education for all,” it isn’t as simple as peeing one’s leg for instant warmth. The society has a propensity to be more complex than, say, one’s family. Roughly 44 percent students passed SLC this year; but if we consider the filtration by the sent up test, failed students from previous years, and those not allowed to take the exam (mostly from public schools), the net proportion of first passes is probably one in four! Even more shocking than just the numbers, however, is that if you tell ten people that you’re upset about this situation, you’re likely to have six say that the problem lies with poor teaching (or somehow blame the victims); three others might tell you to be more optimistic (have you seen the goodie goodie Facebook post with fake Abdul Kalaam quotations? ); and the remaining person will tell you about his nephew’s 90 percent in optional math. We’ve somehow become a society of leg-peeing spectators of a stupidly designed and run system that sacrifices most of our children’s prospects for higher education and greater dignity year after year after year. We don’t need the SLC. It is obsolete, misguided, and if you think about its purpose and effect, absurd. We have the 10+2 as the end of school, as well as other district-level assessments at lower levels. If we really need a national “standard,” then it doesn’t have to be so misaligned with the rest of education system that it makes most students fail. The system is absurd because it is based on the uneducated assumption that the ONLY way to “certify” secondary school education is to design and execute ONE national test for all students. To those who think that only a singular standard makes it “fair,” let me ask this: How about designing a standard based on the reality of the majority? Or, how about requiring all students to learn and take exams on how to prevent and treat DegNala disease in buffalos, write the tamasuk, sing deuda and conduct sociological research among Tharu communities? Those who run this absurd system from the center believe that IF they don’t “unify” and monitor from the center, based increasingly on the standards of “good” private schools, teachers and schools and school districts across the country will simply stop teaching and “eat”public money for nothing. It doesn’t occur to these smarty-pants that in reality, if teachers could stop teaching for that one big, centralized test and start really teaching and assessing in their own local terms, they could educate students better (and we wouldn’t have “nil” results in entire regions). They can’t give teachers autonomy and dignity, understand variation and complexity, look at the situation from the perspective of failed students who were tested on what they weren’t taught, see that they didn’t have the opportunity and privilege to meet the standard. They cannot see how the idea that only a centralized testing system will make teachers teach, students learn, schools “perform” has a very high social, financial, and moral cost. Should we not instead, you might ask, fix teaching and learning so that more students will pass the SLC? No, actually. Students from vastly different backgrounds, material and social conditions, learning opportunities and privileges can and must never be tested by using a one-size-fits-all test made in the capital. The society will NEVER be able to achieve the pipe dream of creating equal teaching/learning conditions for the rich and poor, for cities and villages, for differently abled students, for students with different talents. For many, many reasons, students will perform differently in tests; but they should all be allowed to pursue higher education in different ways. The idea that everyone needs math to go to college is bogus, and so is the idea that advanced scientific knowledge is only available in English. What about “accountability”? Isn’t it because public school teachers are not responsible toward the principal who can fire them and parents who will take students out? Maybe. But until we take into account the entire picture with the differences and complexities mentioned above, we will solve the wrong problems, if any. Reality matters. Students in Karnali should be judged in terms of the best they can do there, using the best from their teachers there. Am I saying that every student who takes the SLC exam should be given a “certificate”? No. But everyone deserves fair and flexible ways to continue. Fairness and justice means that those who don’t get equal opportunity, those who need alternative and flexible ways to keep moving ahead in life should also be given the basic right to continuing education (instead of wholesale regional inequalities across the country). In the end, it all comes down to trust. So, let me end with an anecdote. Some time ago, a bachelor’s first year class I was teaching started becoming rather unengaged. So, one day, I went to class and said that I wanted to give everyone full credit. One student raised her hand: “Please stop joking. Let’s get to work.” Imagine a teacher, school, and district- based system that is built on trust! If those who think that only Kathmandu can ensure quality in education were to trust other stakeholders, a sensible set of alternatives would begin to emerge. Until then, the SLC is likely to be the unfair, unjust, and irrational system that it is—an immoral system where children across the country are made to run a mad race against those who go to school in fancy school buses in Kathmandu. The article was published in Republica on June 21, 2014. Absolutely yes! I don’t understand how long it’s going to take for our education leaders to understand this fact. I don’t think they are unaware of the best performing education systems, e.g. Finland and Sweden to take two names. But do the best-performing systems have SLC? It’s been decades since both Finland and Sweden “ditched” their highly centralized assessment systems and switched to more localized systems using multiple forms of assessments. Sweden dumped its nationally administered exit exam (Like our SLC!) in around 1970. Finland not only did so, but also overhauled its curriculum system in two stages between the 1970s and 1990s. No external exams are used to rank students or schools to declare them failures. Rather, schools use broad national guidelines to craft a set of learning outcomes and curriculum at each school, along with approaches to assessing the curriculum benchmarks. Because the teachers are involved in designing their local curriculum based on the local need (as the author mentions in the article), they own the curriculum and discuss to devise best ways to achieve those outcomes. So … do we know where to spend our money, time, and efforts … or we still want to indulge in the garbage of SLC and keep declaring young men and women failure year after year? Oh no! Please … STOP it! I went through your article “Ditch it SLC exam” that I found it’s really impressive in a way that the article has scrolled the reality of the system of the SLC exam and it touches the heart of the examiners, educators, teachers, parents and all the stakeholders to be accountable in the days to come. It’s really thought-proving article! What I think is it’s not only SLC but also other tests in plus 2s and universities are disqualifying and terrorizing students even in more terrifying proportion. Only the thing is SLC draws the attention of all, whereas other tests do not get much attention. Therefore, our testing system has been really obsolete as the writer asserts. It is merely giving false decision about students’ ABILITY and destroying their life. Our tests have never been able to evaluate the actual ability and potentiality of students as the writer himself is a solid example. The tests are only terrorizing students and even murdering. so drastic reforms are necessary.